Crain Cutter Company was founded in the year 1965 and now it is based in Milpitas, in California. Crain Cutter Company manufactures and markets carpet, vinyl and laminate floor covering and material handling equipment. Company is producing products such as cushion backs, vinyl tiles, laminate cutters, seam types, axle rollers, knee kickers, wall trimmers, power saws, saw blades, corner holders, dolphin utilities, combination knives, welding guns, laminate kits, carpet clamps, trimmers, scarpers, pulling claws and heat bond iron. These knee pads can be used in every situation, where the knee protection is needed, especially in situations, where you have to spend a lot of time on your knees, for example, at work, which is connected with flooring installation and cleaning. This product is specially made for carpets installation, where worker stays on its knees for a long time. By using these knee pads, its wearer protects itself from different knees injuries, which can be caused by pressure on knees, for example, fatigue of cartilage or inflammation of meniscus, or even abrasions and bruises. These flooring knee pads have dual and extra wide Velcro straps, which ensure fit, stability and comfort. Thanks to these adjustable straps, knee pads perfectly fit to almost every knee, they constantly stay fixedly and stable, and can be worn over or underneath pants. These pads also have large padded inserts, which provide comfort and eliminate risk of knees injuries. Its padding conforms to the motion of knees, whether walking, kicking or kneeling. It is important that these inserts are replaceable, so, if needed, they can be washed or replaced by new ones. They are made of super durable and flexible neoprene, therefore they are machine washable too. These knee pads are bright blue with black edges. These flooring pads have two wide and adjustable straps. These Crain 197 Comfort knee pads have large, replaceable and padded inserts in their center. 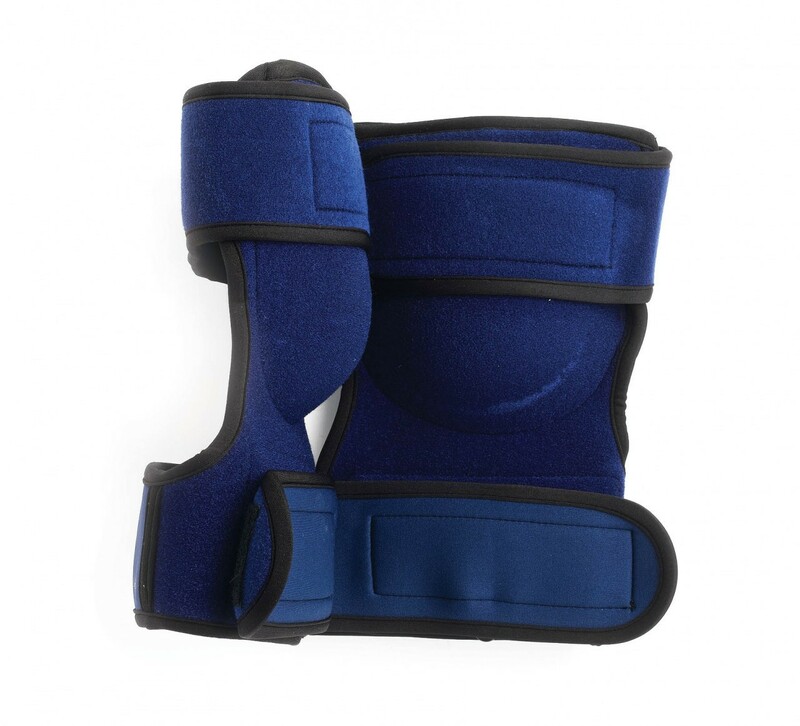 These knee pads have only one size, but they also have two adjustable straps, which adjust knee pads to the appropriate size, so they conform to almost everyone. These Crain 197 Comfort Knee Pads are made of durable and flexible neoprene and are intended for knee protection and support during activities, for example, flooring installation that exposes knees to sustained pressure and friction, which can cause different knees injuries. Their size is 8.0” x 11.2” x 4.5” and their weight is 9.6 ounces. These flooring knee pads come only in blue color. These pads have dual and extra wide Velcro straps, and large padded and replaceable inserts as well. As these pads have adjustable straps, they are suitable both for adults and youngsters. They can be washed in washing machine and usually they are sold in pairs.